4 Flute Center Cutting Tera-Flute for super high chip evacuation in slotting applications. Providing a super high surface finish and rapid feed rates in profiling applications. 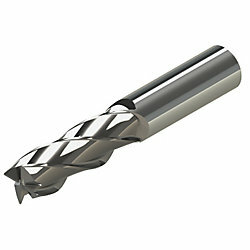 Square end for peripheral milling and finishing applications requiring machining to a sharp corner. The best cutter on the market.